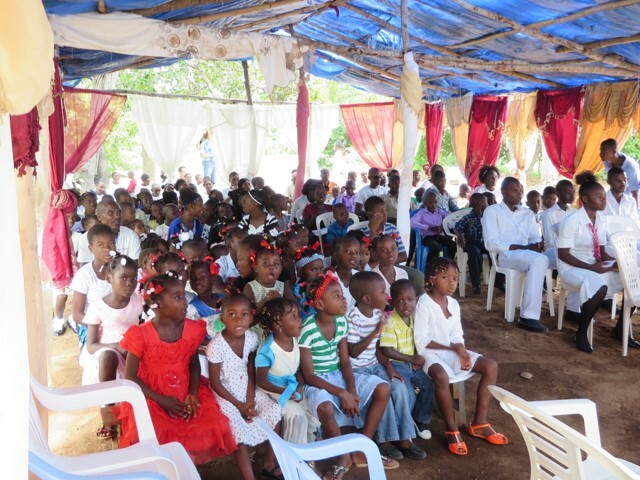 The last week has been a joyous time of celebration for Aslan’s Legliz Maranatha (Maranatha Church) in L’Acajou, Haiti. Barely a year old, our fellowship is growing daily and now numbers over 200 people! 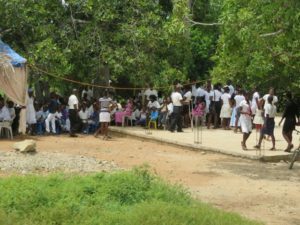 A wonderful part of this growth is the number of children who are coming each Sunday. You can see in this picture below that the first several rows on both sides are filled with young people. What you’ll also notice is the rustic nature of our church building! Just behind this stick and tarp structure is the foundation for a new church building that we want to complete this year. Pilgrim Baptist Church in Red Bank has provided funding for the foundation to be laid, and we are now ready to begin pouring the columns that will hold up the roof. Once this new building is in place, we will just have enough room for all the people who are currently coming! What a great problem to have! But even in this stick structure, there is a great joy in the people who come for worship each Sunday. They have so little, and yet their joy is immense – even in the midst of suffering and need. Can you imagine American children sitting quietly each Sunday for 2 hours on hard wooden benches? Many of the adults are out of sight at the back of the church, sitting on chairs, benches and even the hard concrete! The growth of our program in Haiti has been exponential over the past couple of years. It was only a year ago that Aslan opened a modern clinic that is now serving one hundred people each month. 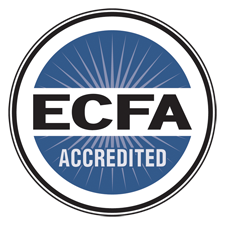 Now the church is growing by leaps and bounds. We are so thankful for God’s provision! If you’d like to be a part of this, please click on this link: https://aslanyouth.givecorps.com/causes/1774-aslan-in-haiti.